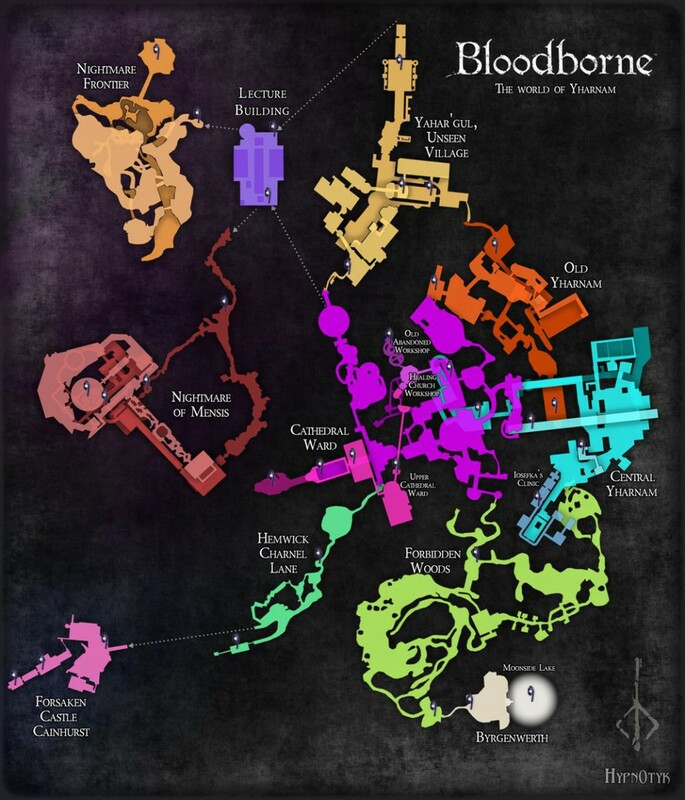 Most areas in Bloodborne are connected to each other in elegant ways. But it’s only when you see the complete map of the game that you realise the brilliance in its level design. A talented member of the Bloodborne community has drawn a full map of all the locations in the game. The map shows the points connecting some areas together and the overall scale of the game. Redditor Hypnotyks is the person in question. They even offer the map in different colours, with or without showing the lanterns, and more. Take a look at two of them below and make sure you open in a new tab.